Love is not just a feeling. Love is action. For believers, the action that most shows our love for Jesus is for us to be obedient to his words, his will, and his example. Father, thank you for showing your love in Jesus. 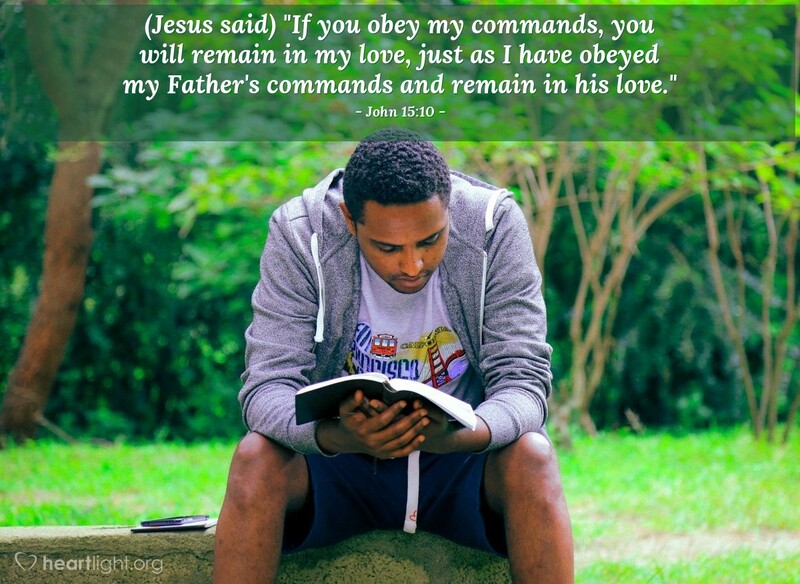 Thank you Jesus for showing us how to love our Father by obeying his will and honoring his word. Today I will consciously live in obedience to your will. Please receive my actions, my words, and my thoughts as my offering of praise to you. In Jesus' name. Amen.